Sequoya Commons! Beautiful 2-bdrm condo w/all the bells & whistles! Open floor plan offers 9' ceilings, hardwood floors & large balcony w/gas hookup. Spacious kitchen offers designer cabinetry, center island w/seating, SS appliances w/gas range, solid surface counters & under-cabinet lighting. Large master bdrm w/walk-in closet & additional closet. Full bath w/tile flooring & Corian counters w/double sinks. Once underground stall in heated garage & same floor storage unit included. 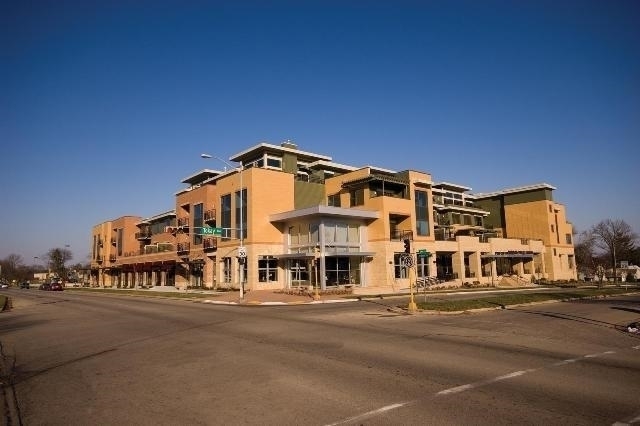 Wonderful retail below includes EVP Coffee, Chocolate Shoppe, Library, Anytime Fitness & More! Directions: Hwy 12/18 To North On Midvale Blvd. On The Corner Of Tokay & Midvale. Items Included: Range/Oven, Refrigerator, Dishwasher, Microwave, Disposal, Washer, Dryer, All Window Coverings.